Chris Robinson is a Private Banker serving Morgan Stanley's Wealth Management offices in New Hampshire, Vermont and Maine.Chris began his career in financial services in 1993, and joined Morgan Stanley in 2015 as a Financial Advisor. 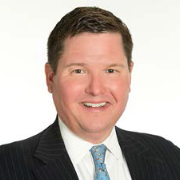 Prior to joining the firm, he was a Private Client Advisor for U.S. Trust Private Wealth Management.Chris received a Bachelor of Arts degree in Political Science and Economics from Denison University, in Granville, Ohio. He and his family live in Kennebunk, Maine.Chris is a member of the Board of Trustees for the LifeFlight Foundation, which provides support to LifeFlight of Maine, an emergency aircraft-based medical transport organization. In addition, he has donated his time to The Trust for Public Land, Maine, the Maine Estate Planning Council, GrowSmart Maine and the Susan G. Curtis Charitable Foundation.When not in the office, Chris enjoys spending time with his family, watching his children play sports, skiing and fishing.